We offer airport transportation for our guests from the Aspen Airport to their destination through Smiddy Limousine. Smiddy Limo is a locally owned and operated business. The Smidy brothers were born and raised in Aspen. Their drivers are long-standing friends who know the community and the state of Colorado well. They are adept at handling the snowy, icy road that make for great snow conditions. They offer taxi and limo services from all regional airports and around town. They are professionally affiliated with commercial and private airlines that service Aspen, Eagle/Vail, Grand Junction and DIA. Call 970-618-4785 for questions or more information. CME has been in business for 28 years and has over 250 vehicles that offer airport transportation service from the Denver, Eagle, and Aspen airports to your destination. They have ticket counters for last minute reservations at all three airports, and kids ride for 1/2 price. They also offer private car and charger services. Call 800-525-6363 or visit their website: coloradomountainexpress.com to book. 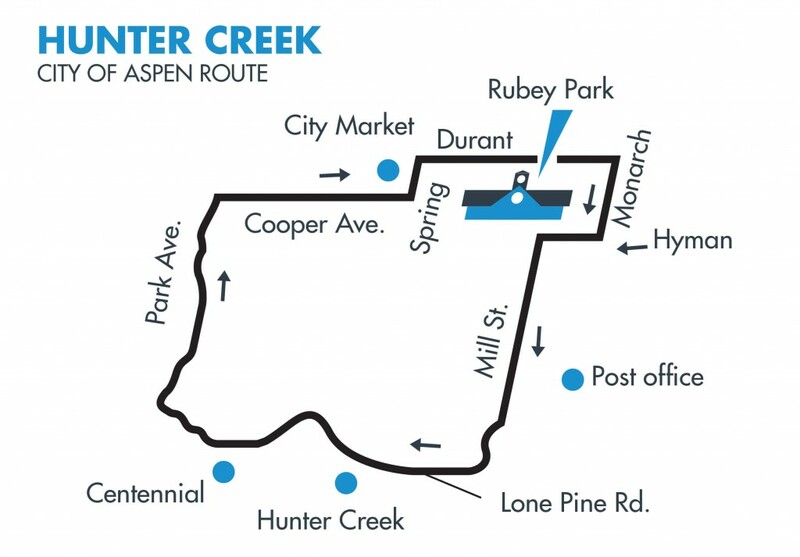 From the Roaring Fork River to the base of Ajax Mountain, we’ve got you covered. Request a ride anywhere in our service area and we’ll whisk you away within minutes for free! Tips appreciated! RFTA operates multiple bus lines in 3 counties, covering an area that stretches from Rifle, Colorado to Aspen, Colorado. 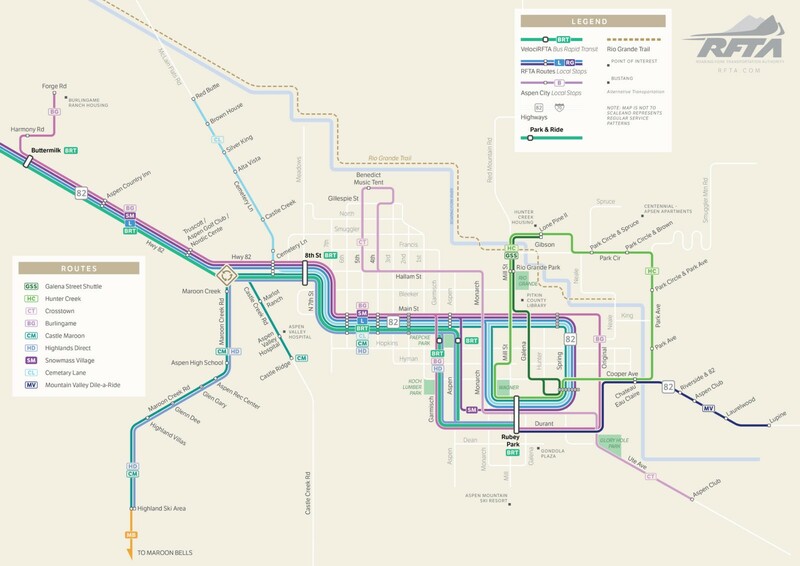 View the maps below to view our service routes. This FREE shuttle operates three times each hour. Outbound: Departs Rubey Park at :00, :20 and :40 past each hour. Departs Castle Ridge at :07, :27 and :47 past each hour. Inbound: Departs Aspen Highlands at :00, :20 and :40 past each hour. 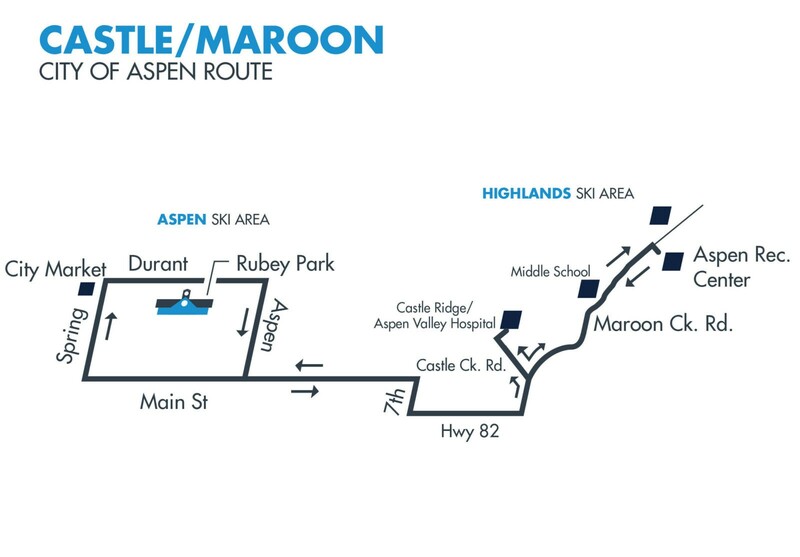 Departs Castle Ridge/Aspen Valley Hospital at :05, :25, and :45 past each hour. 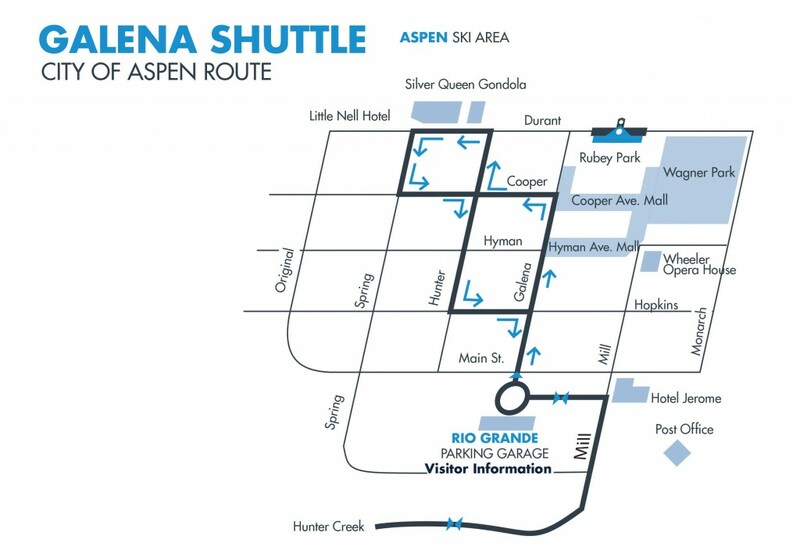 Outbound: Departs Rubey Park Transit Center at :00 and :30 past each hour. 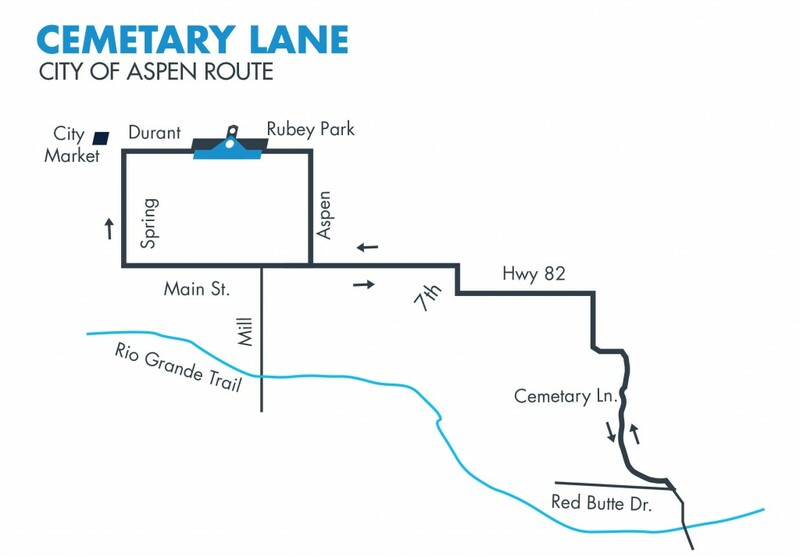 Inbound: Departs Red Butte Drive at :12 and :42 past each hour. Outbound: Departs Rubey Park Transit Center at :00,:20 and :40 past each hour. Inbound: Departs Hunter Creek at :05, :25 and :45 past the hour. Departs Centennial at :08, :28, and :48 past the hour.